“Wayne’s World for Radio.” That’s one of the ways in which Steve Jobs described podcasting in 2005. That was the same year that Apple put podcasts on iTunes and The New Oxford American Dictionary named “podcast” its word of the year. Citing low barriers to entry, Jobs observed how “anyone can make a podcast … and get a worldwide audience… We see it as the hottest thing going in radio,” he added. Thirteen years ago, there may have been an element of hyperbole in that assertion, but it’s certainly true now. The so called “Serial Effect” – named after the phenomenally popular 2014 series has enjoyed more than 175 million downloads. Its success sparked new levels of interest in the genre, and is often seen as the catalyst for a new golden age of podcasting. Great storytelling is only part of the story. Podcasting has growing interest from advertisers and brands, technological advances that make it easier than ever to listen, and increased consumer awareness of this medium. These forces have coalesced to help take podcasting to the next level. By March 2018, Apple Podcasts passed 50 billion all-time episode downloads and streams. 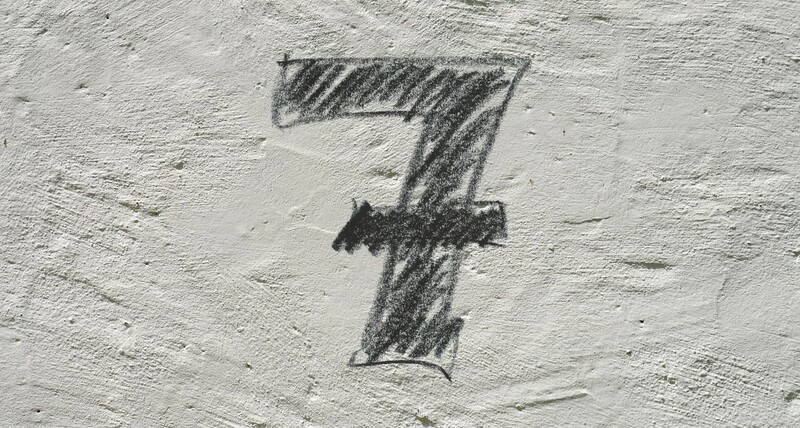 It’s estimated that 73 million Americans, listen to podcasts each month. That’s akin to 26% of the population aged 12+ (up from 12% just five years ago). 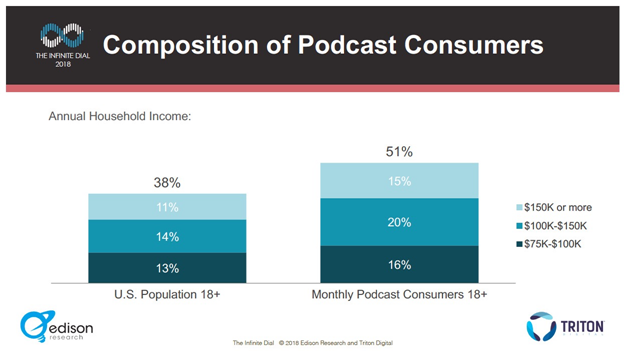 Typically, podcast listeners tend to skew younger, are more likely to have a college degree and have higher than average household incomes, according the annual report from Edison Research on podcast listeners, published last month, reinforcing 2017 findings from Nielsen. 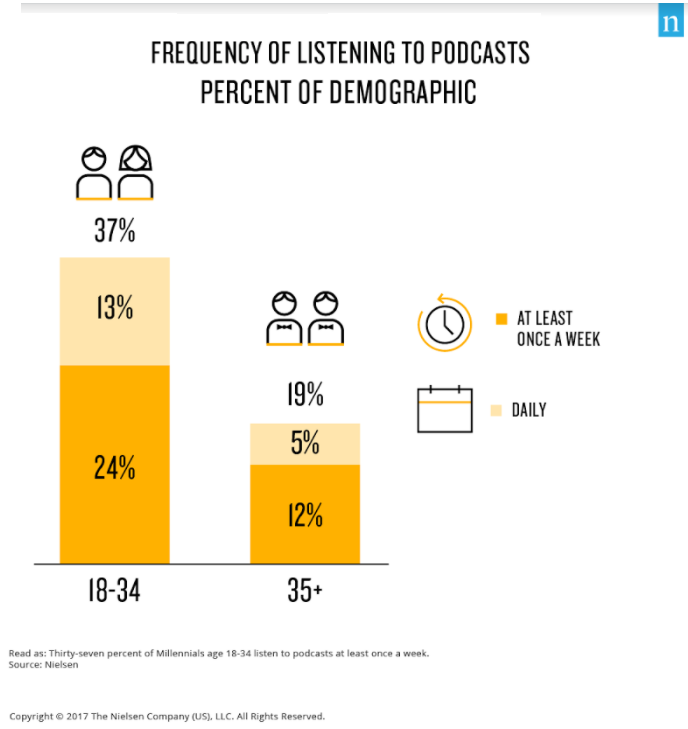 Although the number of weekly podcast listeners drops to 17% of the US population (from 26% who listen at least once a month), this group typically listens to 6 hours and 37 minutes of podcasts each week; with 17% of this cohort listening for 10 hours or more. 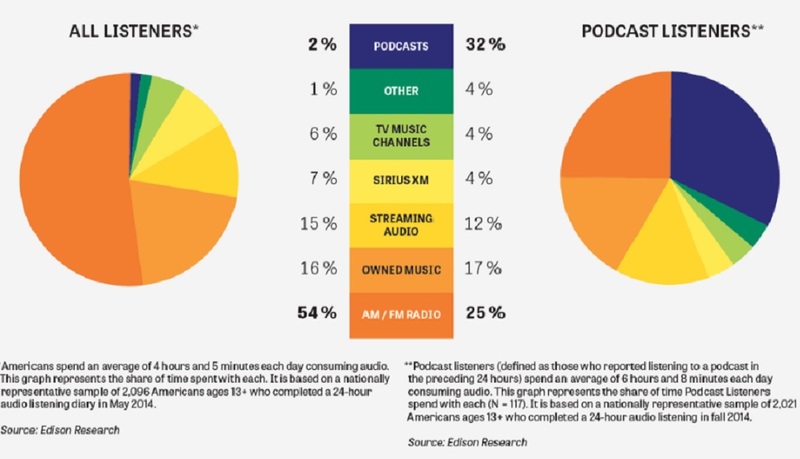 On average weekly podcast listeners consume seven podcasts a week. Their passion for this type of content is such that podcasting accounts for a third of all audio listening that they do. 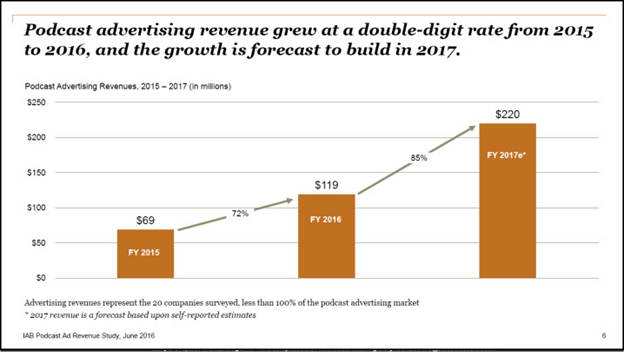 U.S. podcast advertising revenues were forecast to top more than $220 million in 2017. That means it is up 85% from 2016 – where the market was worth $119 million – according to a 2017 Podcast Advertising Revenue Study from the Interactive Advertising Bureau (IAB) and PwC. 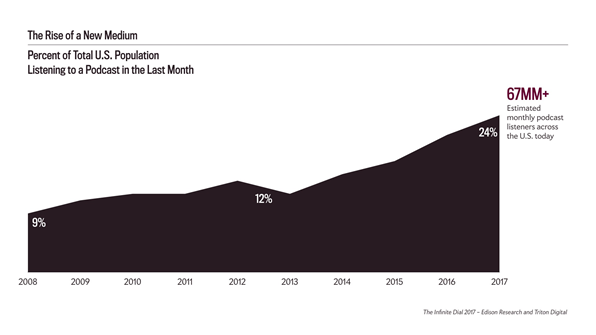 Within this, dynamically inserted ads are on the rise, accounting for 56% of podcasting ad spend in 2016, up from 37% in 2015. The financial potential for some media companies in the podcasting arena is perhaps best exemplified by Slate. In January, they revealed that podcasts now account for 25% of their revenue. As well as growing their podcasting team, Slate also offers exclusive (and ad free) podcast content to people signed up to their Slate Plus membership program. The New York Times recently did something similar with their new Caliphate podcast, previewing it to subscribers before it was made available to everyone. Gimlet Media, a digital media company and podcast network that’s also based in New York, previously raised $6 million in Series A funding as part of a $30 million valuation. And in a super smart move, the story of Gimlet’s early days was captured by their popular StartUp podcast, the first season of which documented how the company was founded. Meanwhile, brands and content creators are also embracing the possibilities of having audiences pay for shows. 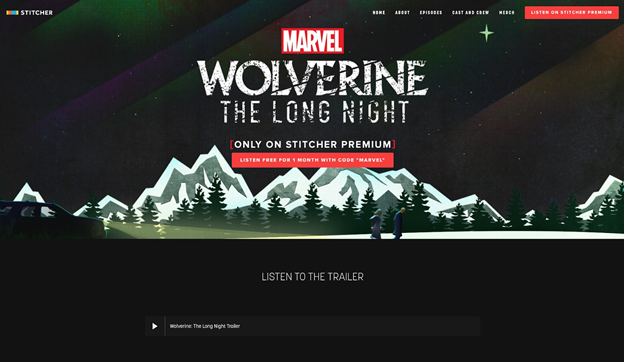 Marvel has launched a scripted podcast, Wolverine: The Long Night, you have to be a premium member of the Stitcher platform ($4.99 a month or c.$35 a year) to access it. And Portland based journalist Corey Pein offers a weekly members only version of his “News from Nowhere” podcast. Historically, both media and non-media brands like Slack and Red Bull have used podcasts to build a “deeper connection” with their audiences and enhance their brand. GE (General Electric) sponsored the mystery series The Message. However, these efforts have typically been free. Alongside a recognition that some audiences – both niche and mainstream – are willing to pay for high quality audio content, the creativity and reach of the medium is also attracting the attention of other media channels. A key trend to watch in 2018, as Variety has identified, is the potentially fertile territory podcasts offer for TV and Film companies. “And on the film side,” they add, “Annapurna Pictures has optioned an episode of “Reply All” for a feature directed by Richard Linklater and starring Robert Downey, Jr. Innovations have included the creation of a dedicated section on iTunes in 2005, smartphone take-up, the creation of a standalone iOS podcasting app in 2012, and the increased ease of playing content from your phone in the car. Jump forward to 2018, and the rise of smart speakers is having an early impact on podcast listening. Last summer, the annual Digital News Report, from the Reuters Institute for the Study of Journalism at Oxford University, demonstrated the early potential for services like Amazon Echo and Google Home, which voice controlled digital assistants being used for breaking news by CNN, and other publishers such as the Wall Street Journal, BBC World Service, and German media organizations Spiegel and Bild. “Today, 18% of Americans 12+ (an estimated 51 million people), live in households that have at least one Smart Speaker,” Edison Research said in March. “This means that Smart Speaker ownership has more than doubled from 7% just one year ago, which shows Smart Speaker adoption at a faster rate than the early days of the smartphone, which showed only 4% growth in a comparable timeframe. There were just 8,000 known shows when Steve Jobs talked about podcasting at the 2005 Apple Worldwide Developers Conference (WWDC). At the time, monetization opportunities were typically limited to baked in ads and presenter reads. Since then, podcasting has witnessed phenomenal growth. User numbers, advertising dollars, and the sheer number of shows, are all at record highs. The emergence of connected cars, new in-car dashboards, the continued rise of smart speakers and Google’s new podcasting strategy (explored in a five part series last month by podcast makers Pacific Content) will encourage further opportunities for growth. Particularly as podcasts begin to appear in our search results and opportunities for listening across different devices and contexts (e.g. in-home, in-car and on the move) becomes increasingly seamless. As a result, expect to see more brands, media and tech companies, as well as marketers experimenting with this space in 2018. Podcasting’s golden era has only just begun. There are opportunities for sponsorships, subscriptions, brand extensions, and live events. Needless to say ,that not everyone will be able to leverage these opportunities. The podcasting space is already crowded and it’s growing and becoming more competitive. Standing out from the crowd, as with any market, is a key challenge when it comes to both reach and monetization. There’s no cookie cutter model for success, but there are already plenty of terrific examples out there that highlight the myriad of different podcasting paths that marketers, brands and media companies can explore. Today, Slate unveiled a sweeping redesign that includes its logo, website, mobile, and events branding. But this redesign runs much deeper than a new aesthetic approach. Slate’s new look reflects the organizations’ emphasis on audience engagement over scale. “Our last major redesign, in 2013, was at the height of the Facebook boom. Social was the driver.” That design was very successful, according to Slate’s editor in chief Julia Turner. However, like most websites, it prioritized social sharing over increasing user interaction and time on site. The landscape has changed a lot since 2013. In fact, the only constant has been change—with traffic, audiences, and distribution largely reliant on the algorithmic whims of search and social platforms. This is evident in Facebooks recent decision to de-emphasize news articles and anything published by brands in user’s News Feeds. While many publishers are concerned over how the latest change will affect traffic, few are surprised. The new design builds upon Slate’s commitment to understanding and serving its audience, which Turner describes as “a highly-informed omnivorous media consumer.” Given that they are looking for “sophisticated next-level analysis,” she said it was important that this new design help guide them to information that will offer a deeper contextual understanding of topics in Slate’s five verticals: News & Politics, Culture, Business, Technology, and Human Interests. This, in turn, is intended to deepen visitors’ time-spent on the site and affinity for the brand, both of which translate into revenue opportunities. While Slate CRO Charlie Kammerer says that the company has been able to “baseline monetize purely with our programmatic dollars,” the new design will offer more premium membership prompts for SlatePlus as well as newsletter sign ups. Today, Slate claims 2% of the podcast market share. Kammerer said “We’re glad we stuck with it because when the model matured, we were already in a good position in terms of expertise and audience.” And, with this redesign, Slate will also be investing more in audio, further increasing its roster from a current 24 podcasts and putting out more original shows like its hit Slow Burn, about the untold stories of Watergate, which hit #1 on iTunes on its first day out. And, while engaging its existing audience is a critical piece of Slate’s strategy, they plan to continue to build a quality audience without embarking on an unbridled quest for scale. As Turner put it, “It isn’t that social isn’t a good way to drive traffic. But what you want is a real relationship with your audience that isn’t dependent on social media.” She reports substantial growth in Slate’s Google and Apple News-driven traffic. From the advance of AI and bots, to the explosion of mobile and apps, media companies must understand and evaluate a myriad of “hot” technologies. Business outcomes are linked to technology choices. Make the right choices, (and investments in the right platforms) and media companies can send traffic into the stratosphere. Miss a step, or a trend, and media companies can lose their shirt. Either way, the ability of media companies to determine their destiny as publishers is inexplicably intertwined with their willingness to experiment and innovate as technology companies. Since Amazon founder Jeff Bezos bought the Washington Post in 2013, the publication has become a sandbox for digital ideas that span a wide spectrum. At one level, efforts to re-imagine old-school audio podcasts have won the company recognition as a top 10 podcast publisher, according to May 2017 data from podcast measurement company Podtrac. At the other end of the spectrum, experiments with Alexa and Snapchat are breaking new ground, and building new audiences. Peggy Anne Salz, mobile analyst and Content Marketing Strategist at MobileGroove, spoke with David Merrell, Manager of Product Development at The Washington Post, to discuss how the company is harnessing audio content, exploring voice interfaces, and preparing for the opportunities and challenges of storytelling on new platforms. Peggy Anne Salz: Podcasts are popular, with almost 20% of U.S. adults ages 18 to 49 listening to them at least once a month. It’s a trend the Washington Post embraced early. Now you have a string of podcasts, several of which hit 1+million downloads as early as a month after launching. Tell me about the chief factors you considered before making your move. David Merrell: We saw that smartphones are ubiquitous and—because podcasts are now available in everyone’s pocket whenever they want—we saw the opportunity. We then reviewed the studies, did research with our own readers and made the decision to go this route. We saw a fit with our efforts to expand our audio offerings in general across voice platforms such as Alexa and Google Home. But we also knew this was not a core competency. Our traditional competencies in news and storytelling were not what we would need to have a big impact in podcasts since podcasts are not about breaking news. We had to look at storytelling beyond breaking news, and really bring the analysis piece of it, as well as our own perspectives, into the podcast. Since taking the plunge, we’ve launched several podcasts. There’s the historic focus podcast called Presidential, which was a huge success last year with one episode focused on each president. Now history wasn’t what you could call a core Washington Post product, but we were able to take our expertise and apply current thoughts and questions to historic aspects of the country and create a very compelling podcast that counts more than 9 million listens since it launched in January 2016. We just launched a sequel to Presidential called Constitutional that looks at the history of the Constitution and applies this to current events. With our lineup, we recently cracked the ranks of the top 10 publishers in the U.S. for podcast listens, which given the size of our team and where we were just a year ago is pretty incredible. It is a concern that comes up a lot. But we balance. Our big focus, in terms of business growth, is on digital subscriptions. Sure, it would appear at first glance that podcasts do not drive that since they are also available on iTunes. But we have seen very impressive results from successful marketing campaigns where we will tell people, “This is part of the wide breadth of Washington Post content that your subscription supports.” We’ve also seen huge engagement with our podcasts by our subscribers. So, even though this is a product that is widely available, it’s also a product that is highly engaging – and Washington Post subscribers access and appreciate the content. Is this important in your efforts to attract new audiences? When we’re talking about getting in front of new audiences, audio is a component of that. But we’re not limited to one way to get to this goal. Take our presence on Snapchat Discover. It’s also allowing us to get in front of people who wouldn’t necessarily have seen the Washington Post otherwise. Like all traditional media, we have an older audience that is very engaged, like other newspapers, we have had trouble reaching a younger audience and showing them who we are and what we offer in a way they can understand and see value in. And that’s important because don’t have to just get in front of them; we have to demonstrate value and show them why they should make the Washington Post part of their daily lives. Podcasts offer a way to do that, but so does Snapchat. The Washington Post also launched a Reddit public profile, so another example of being on a platform to reach new audiences and find what a new home for your content. How do you choose and pursue these opportunities, without spreading too thin? In the case of audio and podcasts, we made up our mind early that it was a boat we wanted to make, not miss. We launched Presidential, and after we were convinced of the success we hired people for audio roles. That’s what’s fueled the explosion is bringing in people with audio experience to help with the recording, to help with the scripting, to give feedback to the folks, internally, who are recording the podcasts. Since then, we’ve hired a product manager, who is almost wholly-focused on audio, and especially on Alexa, and then another hire in the newsroom focused on conversational audio. Now we are at the point where we are figuring out how do we record for new platforms like Alexa and Google Home, and what can we do to create a really sticky voice UI experience? Frankly, the answer is always part tech and part user experience. What’s your approach? There are different pieces to our Alexa strategy. The biggest one, is what you just described: the user experience. Right now, it’s like you wake up in the morning, you go to your kitchen where your Alexa likely is, and you say, “Alexa, what’s news?” Alexa cycles through a list of sources that you choose when you first set up your device, and that’s called your flash briefing. Alexa plays the briefing and you hear short bits of news from each of those sources. We’ve determined that this is the the stickiest news experience on Alexa right now because it’s so simple and baked-in to the device itself. It’s one word: news. The user just says news and gets news. But it’s also a huge learning curve—for us as well as the consumer. As it works right now, people need to install a skill, which you can think of as an app. But there’s no home screen on Echo to remind people to tap on a Washington Post icon. Instead, users have to remember to say, “Alexa, open the ‘Washington Post’” in order to get to our news on the platform. We’ve found that is really difficult. It’s a whole lot easier for people to remember to say, “What’s news?” and then go into their flash briefing. So, how do you plan to change that behavior or introduce new habits? As you said, every company that has a skill, or plans a skill, will struggle with this. What is your advice about how should they approach this? We have not figured it out, so we don’t have a magic bullet solution. But I would say that content companies should go through the process of building a skill as a way to find out if there is a fit and find what users will value. If you are a smaller newsroom, and you have fewer resources in both engineering and editorial, then I would start with a flash briefing. Direct and educate your audience to add that to their flash briefing lineup, and go on from there since that is really the most engaging way and easiest way to get news on the platform. Specifically, which channels and formats work to move users from accessing news via mobile apps or whatever platform they are currently using to consider getting news from Alexa. We are in the very early days of experimenting with that now. To start, use a survey to figure out how many of your users have Echo devices. Then also look at your engaged users and target them. For us it’s our subscribers because they are the “Washington Post” super fans likely to switch. If anyone’s going to remember to say, “Open the ‘Washington Post’” every day, it’s going to be people who are already subscribing to us. As far as the precise channel, we start with email. The Washington Post is exploring a plethora of platforms and technologies. But it’s also a company that has the resources to do so. What is your advice to companies that can’t be early adopters, but can’t afford to be late to the party either? First, let me tell you about our approach. We dive in and define a period of time when we’re in all the way. After that, we look at the data to determine if what we are doing is worth further investment, or if we need to pivot. We do this will all the platforms. We go all in with AR, we go all in to test new storytelling format in Facebook Instant Articles, and we did it to create content for Apple News. We do this because we feel like that’s the only way to get enough data. It tells us where these new platforms fit strategically for us, and, it’s not working, we use the data to see how it could work for us and how we could work with these large tech partners to move their roadmaps in a direction that we would want to travel. The point is I think media companies should be experimenting all the time. The status quo is not going to sustain anyone’s publishing business for very long going forward. So, I would encourage everyone, no matter their size, to experiment. I think it’s the scale of the experimentation that matters, not the company. If you’re a smaller publisher, look at where your audience is. If you have a huge percentage of your audience coming from Facebook, then I think it makes a lot of sense to focus some energy on Facebook products such as Instant Articles. But don’t just look at your audience; look internally at the skills sets you have. You know, it’s a very low technical bar to start a podcast. I’m not saying that anyone can do it – you need some setup and training – but many companies and even individuals have achieved and engaged huge audiences with podcasts. It’s really a matter of trying it, seeing what resonates, and doubling down on that. And that’s the ethos of experimentation. Doubling down on the success to grow that success is something that any newsroom of any size can tackle. So, is the post-Bezos Washington Post a publisher or a tech company? Both. We think of ourselves as a technology company and a publisher at the same time. Our Arc Publishing [software-as-a-service] business continues to expand its client base, and we’re now licensing our tools to other companies including Tronc, which has adopted Arc as its fundamental platform throughout its nine-city metro chain. And there are more clients in the pipeline. Now that isn’t a business for a traditional publisher, but it’s something that we do and that’s all technology that we develop. I’d say, we defy classification. We are a journalism company, we are a storytelling company and we are a technology company. You know, next to where I sit is a quote on the wall from Jeff Bezos: “What’s dangerous is not to evolve.” And that’s what it feels like to be owned by Jeff: to be constantly evolving and realizing that staying static is not an option. Staying static is the most dangerous thing a publisher can do. The lack of metrics and tracking in the world of podcasts has kept many advertisers away from the space. However, podcasting has been a boon for direct response advertisers like Squarespace, BlueApron, and Samantha Bee’s favorite, MeUndies. Apple recently announced that it will finally share analytics on listener behavior in aggregate. This is a tremendous advancement for podcasting. 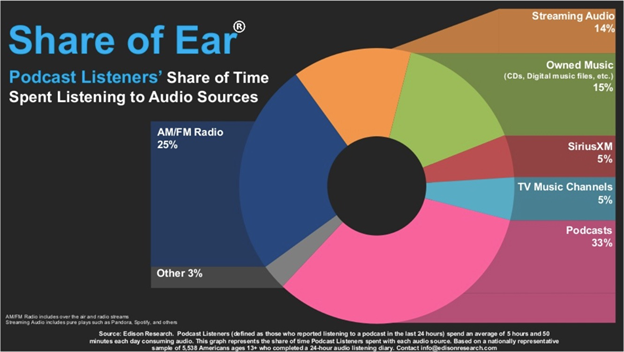 The data will help producers understand what content hooks listeners and where they drop off. But, beyond measuring listener behavior, Slate wants to answer one big question for brand advertisers: Do podcasts work? To answer this question, Slate Group Studios partnered with Prudential Financial Inc. on a program called Wealth Wits and paired it with the first study of it’s kind to assess the impact of a branded podcast program. Slate was an early pioneer in podcasting and has been a leading force in the space for more than 12 years. As listeners flock to the medium, brands are keen to experiment. In 2015, Slate created its first branded podcasts with HBO, GE and Prudential. However, the lack of measurement has hampered aspirations to build out robust, long-term podcast marketing strategies. The Prudential Wealth Wits program offered a customized content experience powered by the listener’s own financial behavior. The capstone of the campaign was an interactive self-assessment quiz, promoted on Slate, that served up a personalized podcast. The branded podcast was created in partnership with Prudential and hosted by journalist, comedian, and author Faith Salie. Wealth Wits intended to help people of all walks of life think about their retirement and plan for the future. Slate Group Studios created a custom methodology in order to understand and assess the overall impact of the Wealth Wits campaign on Prudential’s brand favorability. The study looked at overall brand awareness, favorability and consideration. GFK Research measured the results. 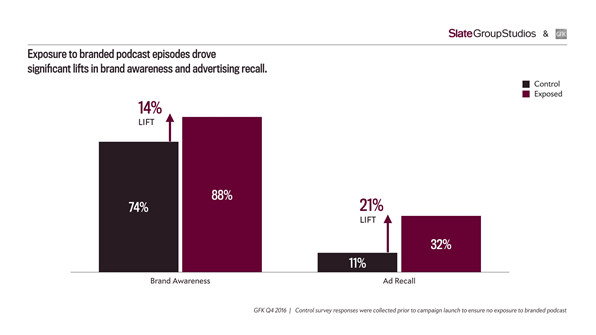 For the study, control survey responses were collected prior to campaign launch to ensure no exposure to branded podcast. Exposed survey respondents were collected via a host-read at the end of the podcast to ensure exposure to branded content. The survey was hosted at an easy-to-remember vanity URL. One positive result was that nearly 20% of survey respondents reported that they were very or somewhat likely to recommend Prudential to their friends and family. 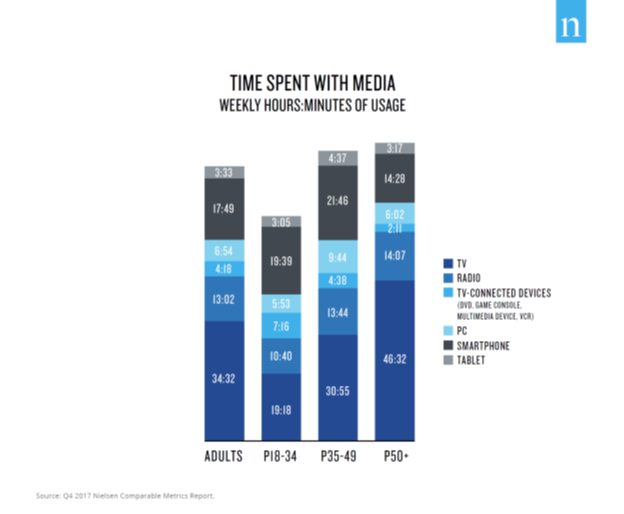 Because this was a cross-platform program with interactive, display and audio elements, the study allowed us to compare the impact of different media types. These comparisons produced the most exciting findings, offering up valuable, statistically significant evidence of podcast advertising’s effectiveness. In short, the study found that podcast units were more than twice as successful than banner ads in driving statistically significant lifts in Brand Awareness (+14%) and Ad Recall (+21%). 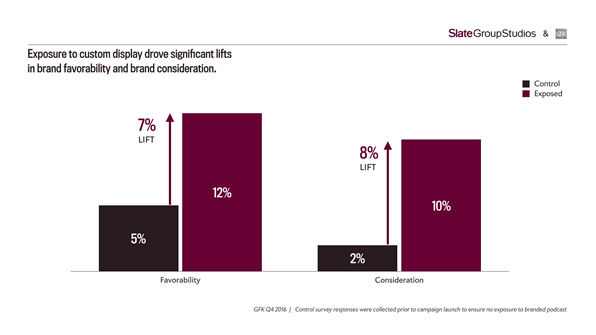 In addition to finding that podcast units were more than twice as successful than banner ads in driving statistically significant lifts in Brand Awareness and Ad Recall, the units’ display creative also led to statistically significant lifts of 7% in Favorability and 8% in Consideration. It was encouraging to see the success of Wealth Wits reflected in meaningful metrics. However, it’s even more exciting that the results offer up much-needed data on the effectiveness of branded podcasts as a medium. While the creativity afforded within the podcast space and the deep engagement have made branded podcasts desirable, the data to support the investment has often been elusive. With our custom methodology, the industry at large now has a model to follow and hard numbers to measure against. We can now say emphatically that, yes, podcasts do work. 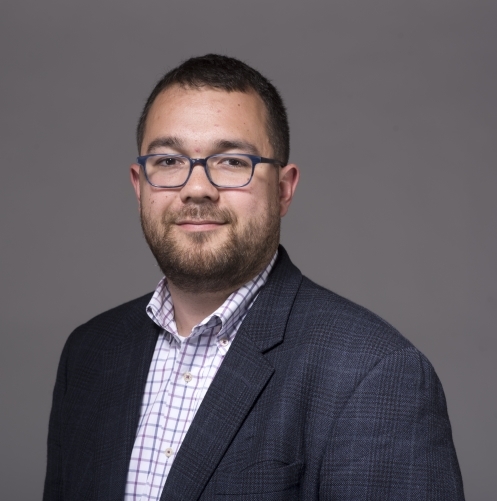 Charlie Kammerer is Chief Revenue Officer of Slate, where he focuses on developing ways for brands to tap into Slate‘s audience through editorial content, podcasting, video, and custom programs. Kammerer joined Slate in 2017 after spending twenty years at Time Inc., where he was a brand builder and revenue generator across a diverse portfolio of brands, including Real Simple, Fortune, Food and Wine, Cooking Light, Golf, and This Old House. He’s based out of Slate‘s Brooklyn office. Jim Lehnhoff is Vice President at Slate Group Studios, Slate’s in-house branded podcast agency. Formerly, Jim was Director of Advertising Strategy at Gawker Media, where he was responsible for overhauling the company’s go-to- market strategy while managing a team of six strategists. Prior to Gawker, Lehnhoff cut his teeth at Serious Eats, Curbed Network, and The Onion. Podcasts are earning a strong foothold in digital media. The popularity of podcasts such as “Serial” and “This American Life” aided the medium in reaching new audiences. In fact, Edison Research reports an estimated 57 million Americans over the age of 12 listened to a podcast in January and February of 2016. The Knight Foundation recently made several investments to support podcasting programming and on-demand audio formats. In the report “From Airwaves to Earbuds,” the Knight Foundation partnered with Lutman & Associates and Dot Connector Studio to identify and assess the impact of these investments. To date, the Knight grantees are successful in growing their audiences and finding new ways to attract younger listeners as well as revenue. Project Carbon supports the development of a seamless digital listening platform across all NPR affiliates and available through all digital devices. Radiotopia helps independent media makers develop audiences and revenue for their work. Gimlet Media develops and release podcasts for its network. New York Public Radio develops and share the Discover app, WNYC’s mobile app for on-demand listening. RadioPublic PBC helps listeners discover, engage with, and reward creators of stories, podcasts, and other audio. Podcast audiences are growing. 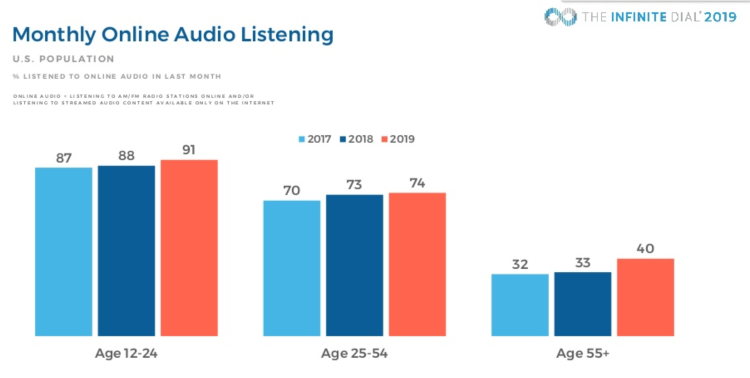 At least one-fifth of U.S. consumers (21%) have listened to a podcast compared to 12% in 2015 according to Edison Research. As you can see from the chart, the podcast audience listens to less radio and more podcasts than the average. Digital-first companies are building podcast audiences without a need for legacy broadcast systems or audiences to maintain and are more agile to develop strategies to capture useful audience data. On-demand listening offers new and creative ways to offer local news stories. Racial and gender diversity is needed in podcast hosts, only 22% of podcasts are hosted by women, although that’s up from 12% in 2015. Public Radio is a key talent pool for the podcasting medium. Podcasting is a great space for experimenting new skills, styles and techniques. Data standards and methods of shared metrics are needed in on-demand audio and podcasts. Identifying new revenue paths is important. Podcasting recently used CPMs to enlist advertisers. Podcasting can offer a powerful discussion. It presents a unique experience because the content evolves in the mind of the listener. The report raises several questions about the future growth of the medium: Is there enough scale in podcasting today to be a profitable medium? Can it serve as a medium for interesting and original brand integrations? At this stage, there’s no one-answer-fits-all for how podcasting should generate revenue. However it is clear that podcasting offers a level of engagement with audiences that offers an opportunity to experiment with new forms of revenue generation.